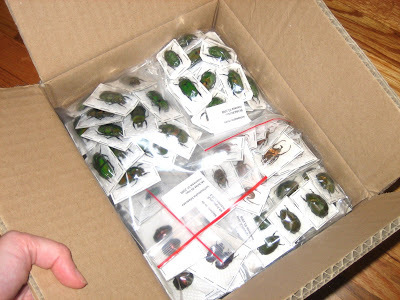 I just wanted to share with everyone the excitement of my latest shipment of bugs! 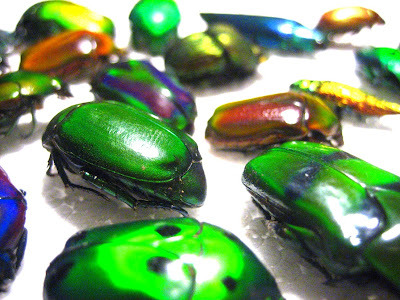 I ordered lots of beetles to make jewelry with, and they are gorgeous! Have a look! Here's what it looks like when I first opened the box. 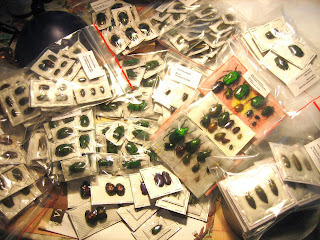 This particular shipment was sent from Thailand, although it contains beetles from all over Asia. Taken out of the box, you can see how many there are!! After softening and re-positioning all the parts for use in my jewelry, here is the ready-to-use result! Eye candy, indeed! Visit www.aquakej.etsy.com to see what I've made with them so far! Around this time of year, people are always asking me "I saw this super weird alien-like bug the other day....what was it?". They don't have to say anything more than that before I can answer them correctly 95% of the time. The answer? It's an Assassin Bug! That's right, it's a bug that goes around assassinating other bugs. 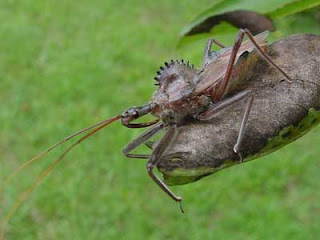 It's a Hemipterid, technically (meaning a "true bug", related to things like stink bugs), and it can grow to nearly 2 inches long. The "super alien-like" feature is like a big scary spike sticking out from their face. This is, scientifically speaking, known as a "prosternum". 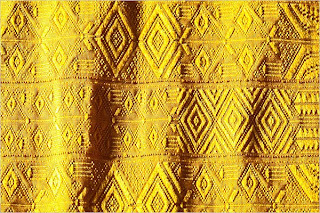 It is used for assassinating. 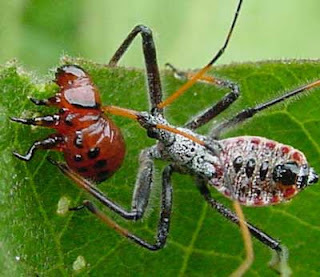 The assassin bug uses it to inject a poisonous saliva into their victims, which liquifies their insides (yum!). 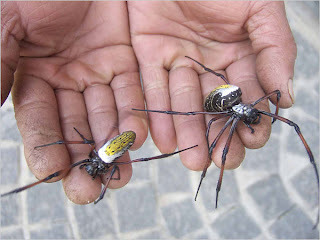 On the upside, they do eat cockroaches and other nasty pests, so some people, especially gardners, regard them as beneficial. Other people even keep them as pets! There are several different types of Assassin Bugs, but most of these pictured are the one we see most commonly in my area of the Midwest. 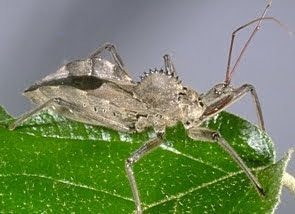 It's called a "Wheel Bug" because of the spiky wheel shape that comes out of its head. Cool! 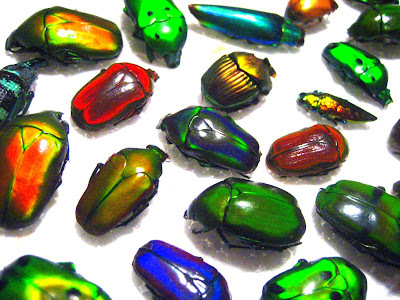 Now you know what that bug is!